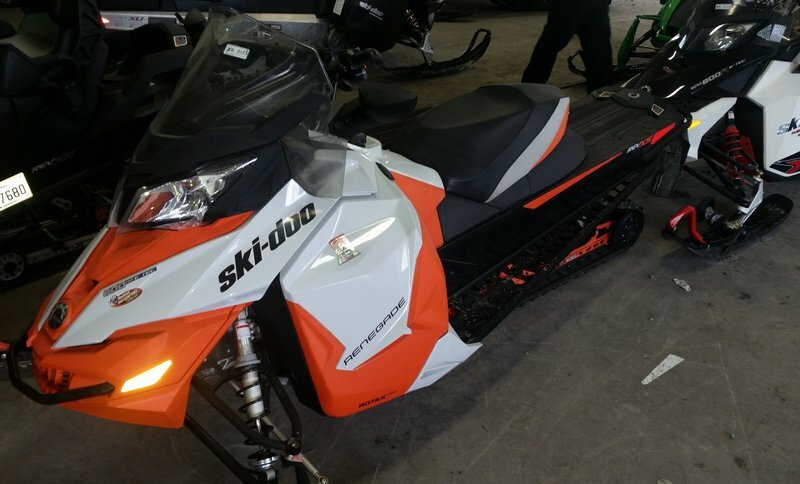 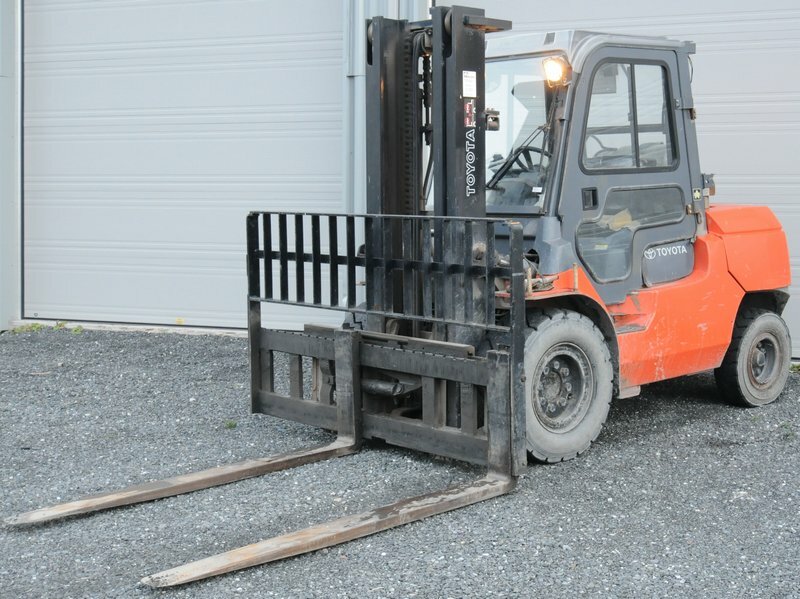 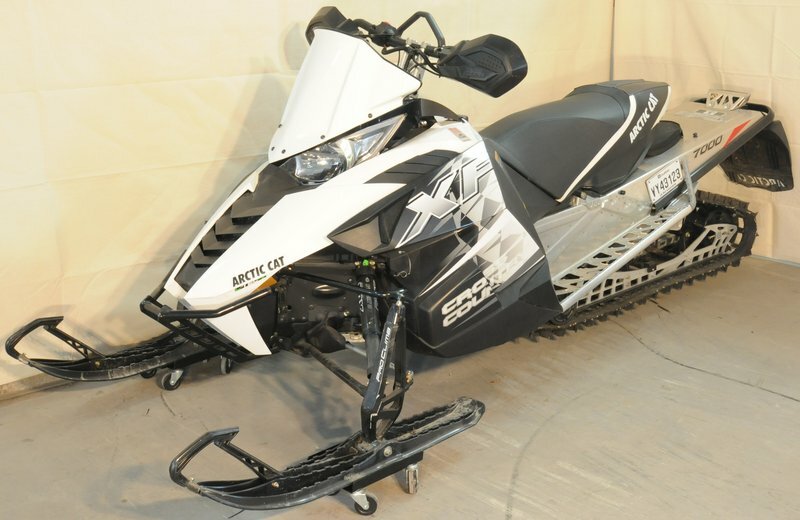 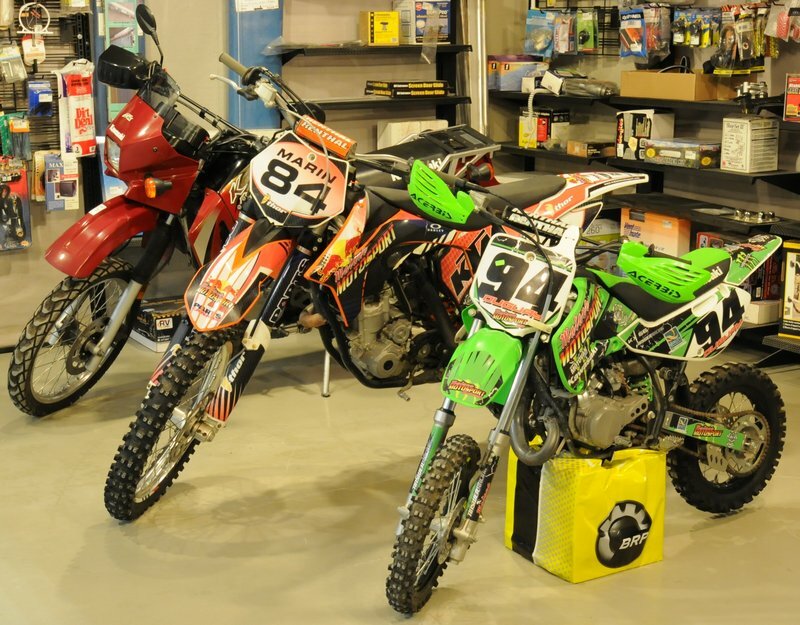 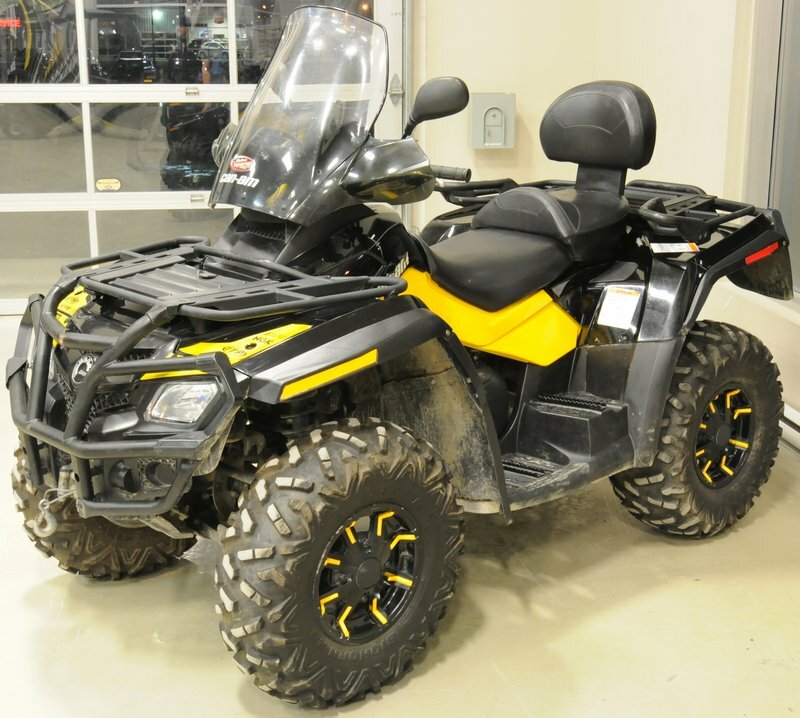 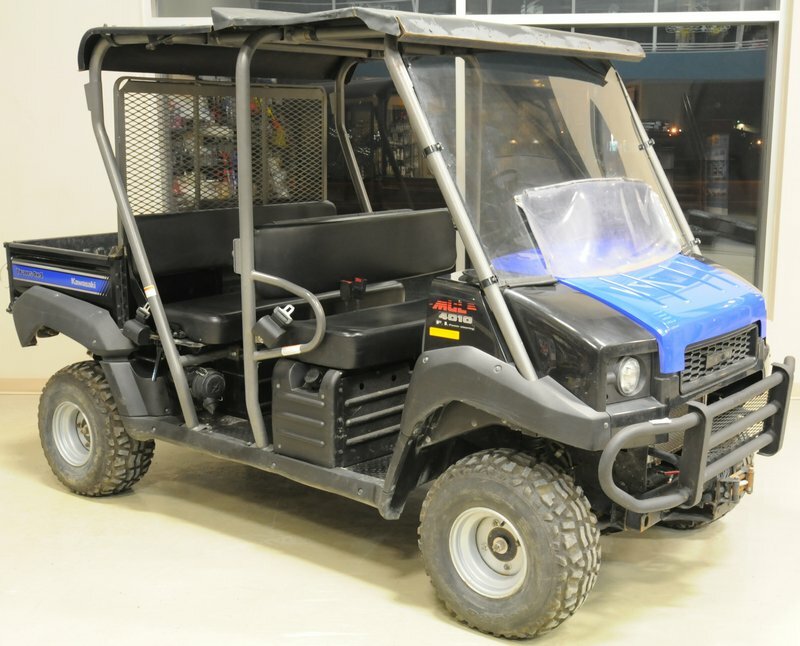 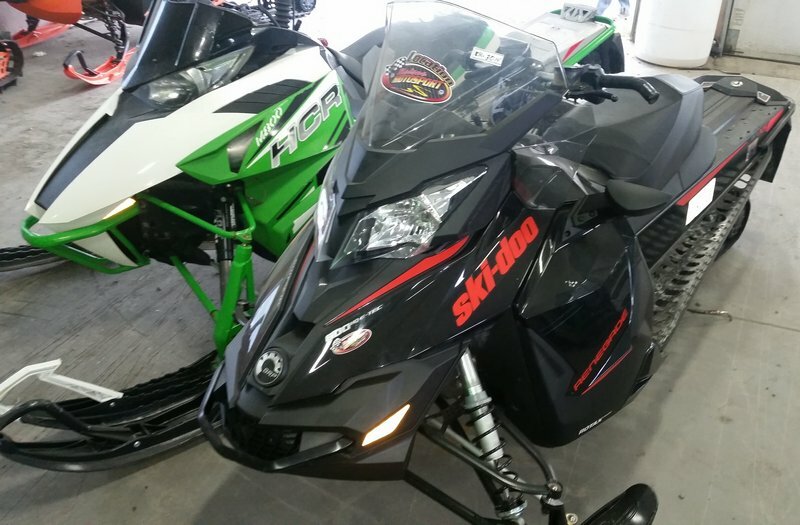 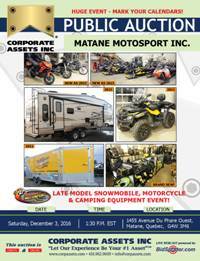 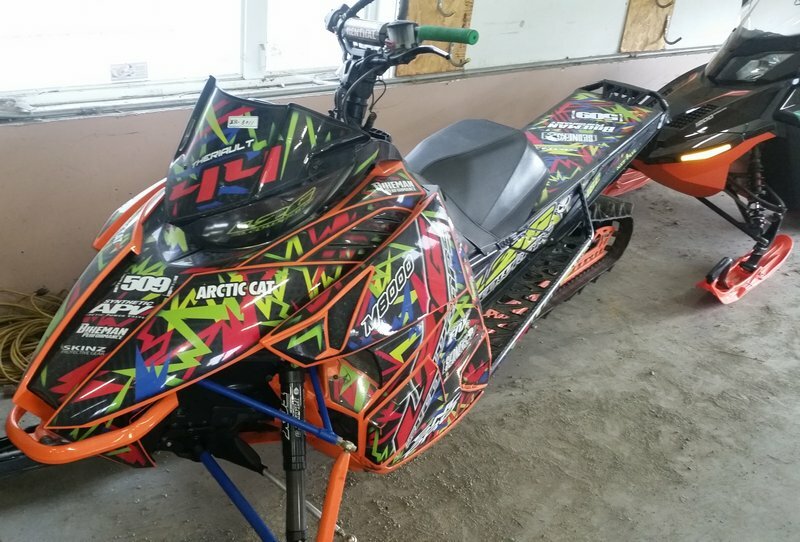 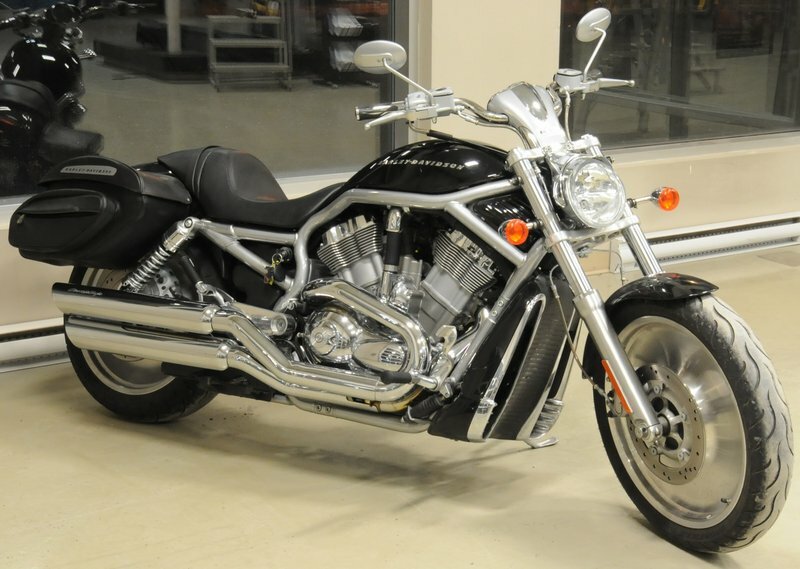 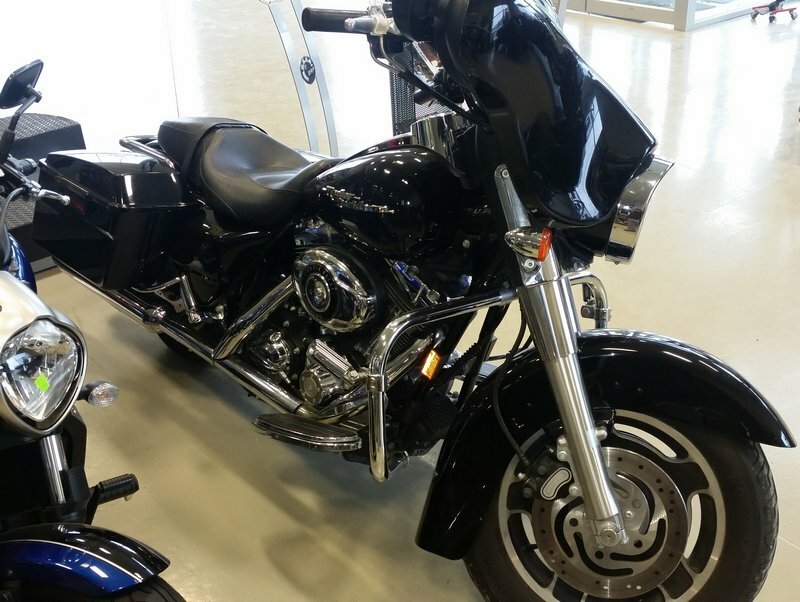 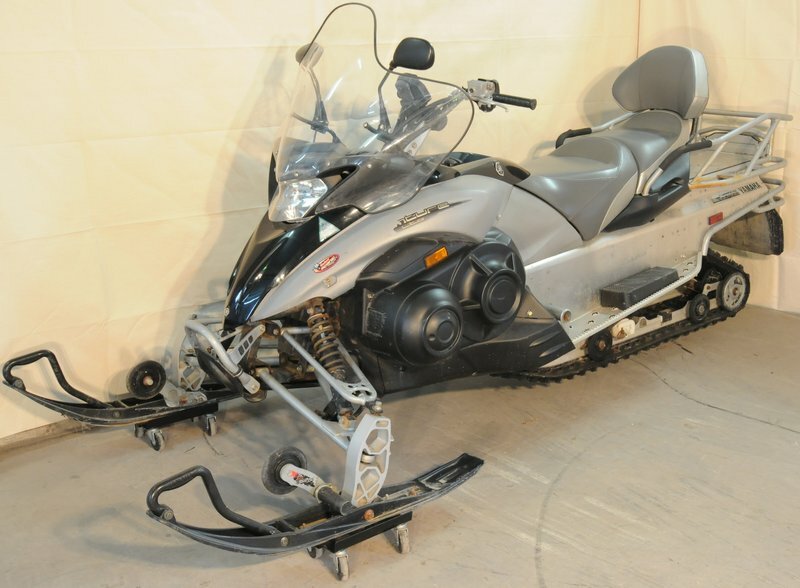 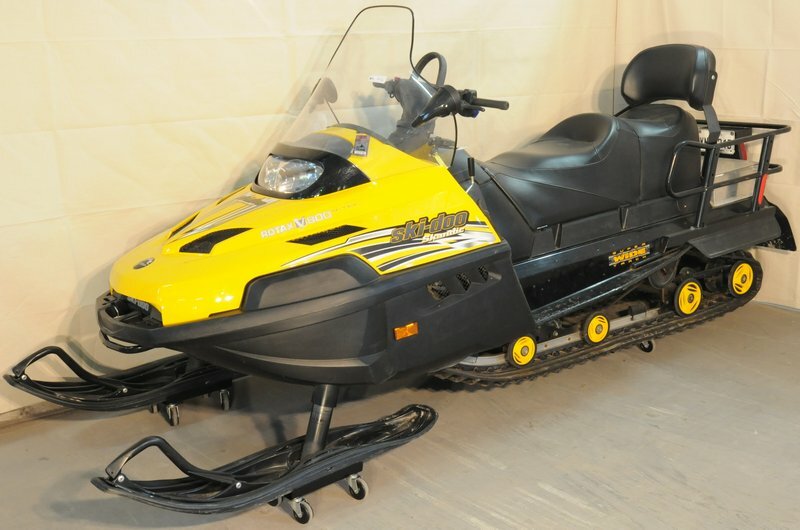 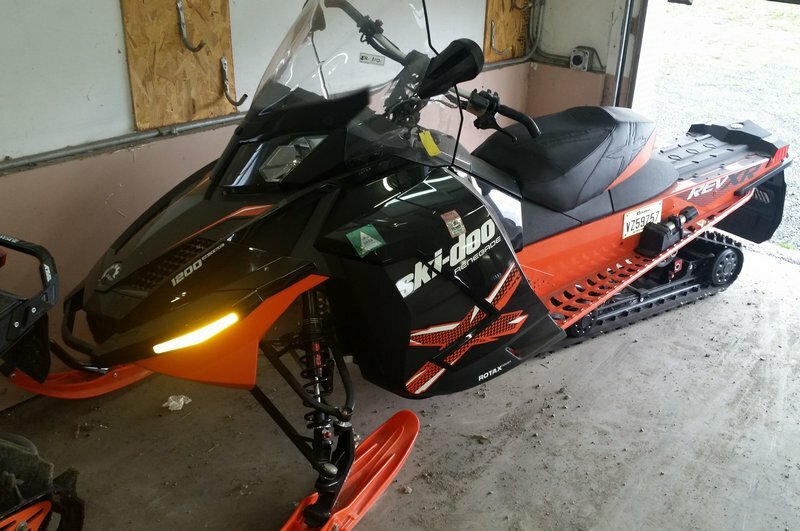 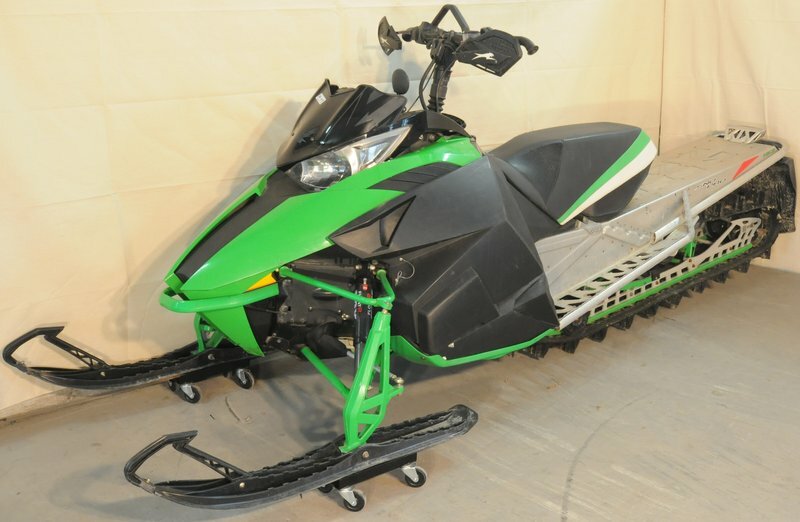 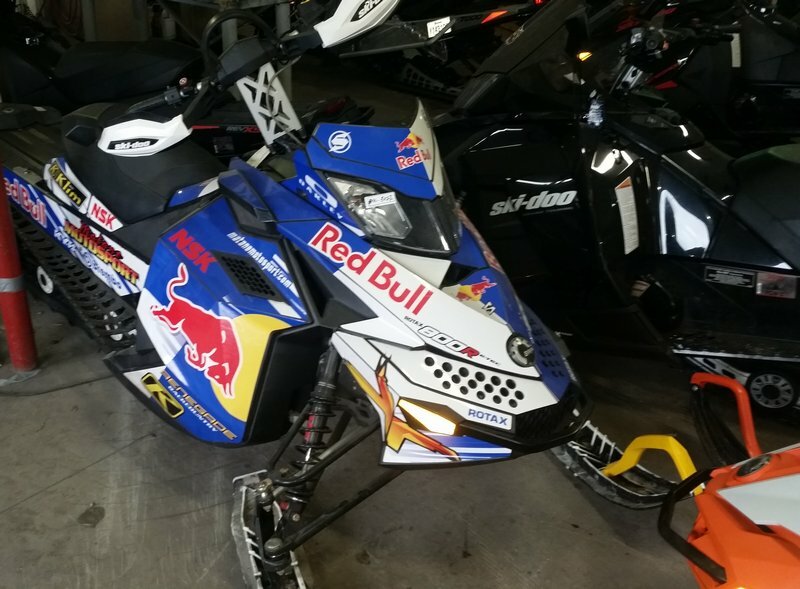 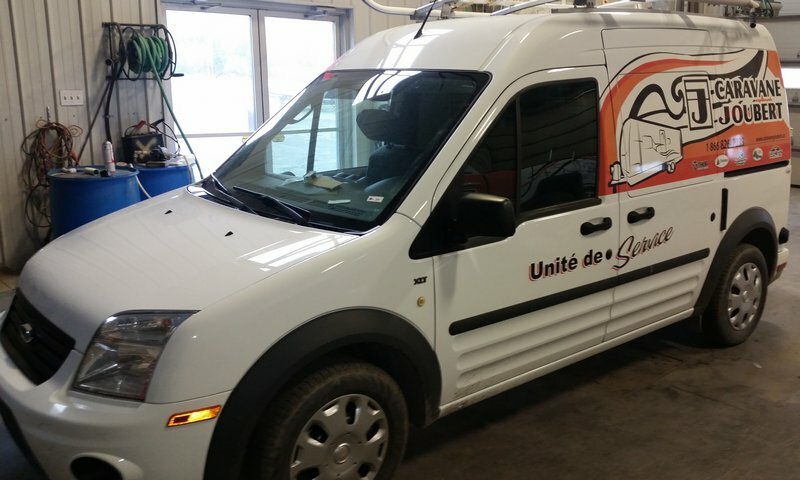 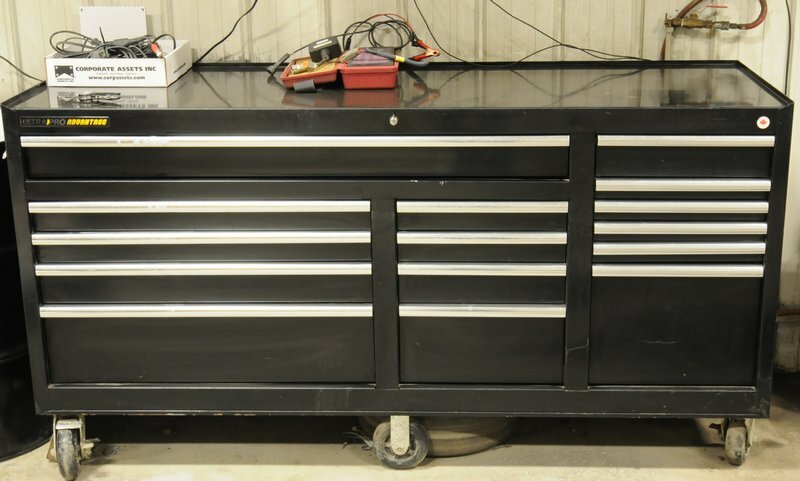 Corporate Assets Inc. | Matane Motosport Inc. - Corporate Assets Inc.
Friday, December 2 from 9:00 A.M. to 5:00 P.M. and morning of auction to start of auction. 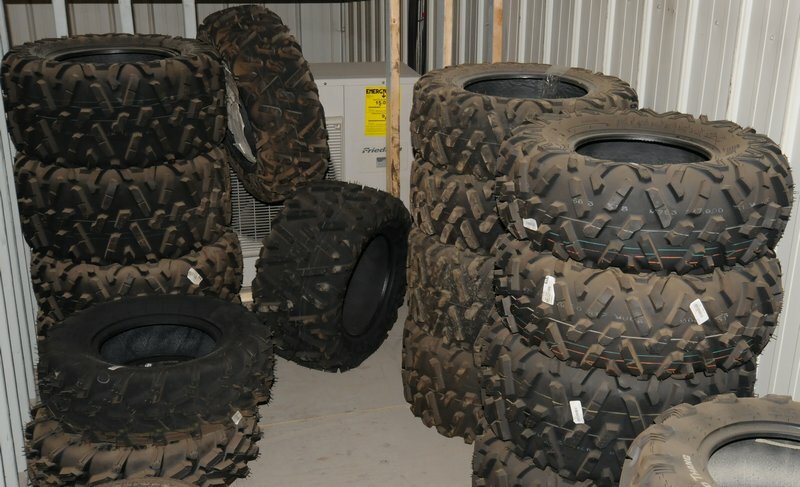 Friday, December 9 by 5:00 P.M. 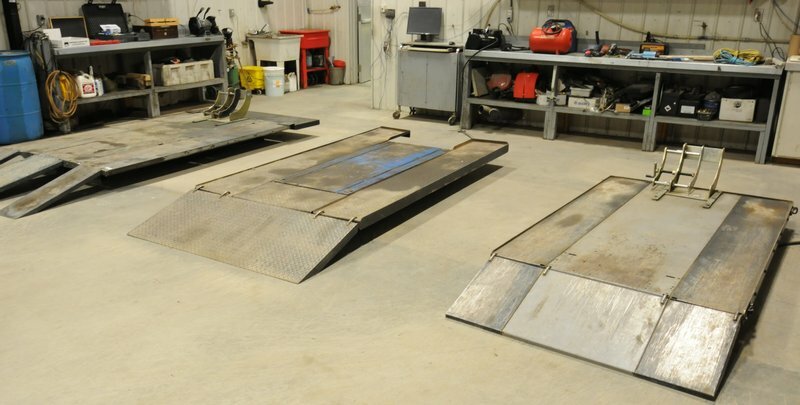 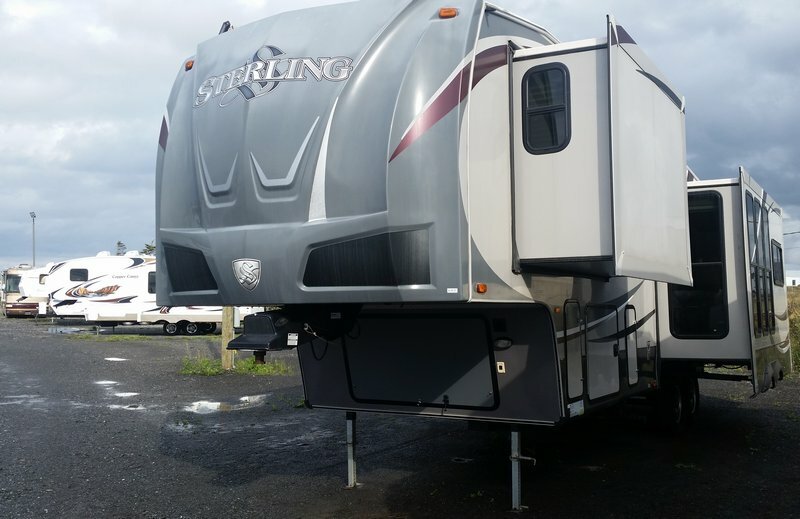 FEATURING: COMPLETE CLOSURE of a large seasonal equipment dealership, featuring a late model assortment of Winter and Summer motorsport recreational vehicles & accessories. 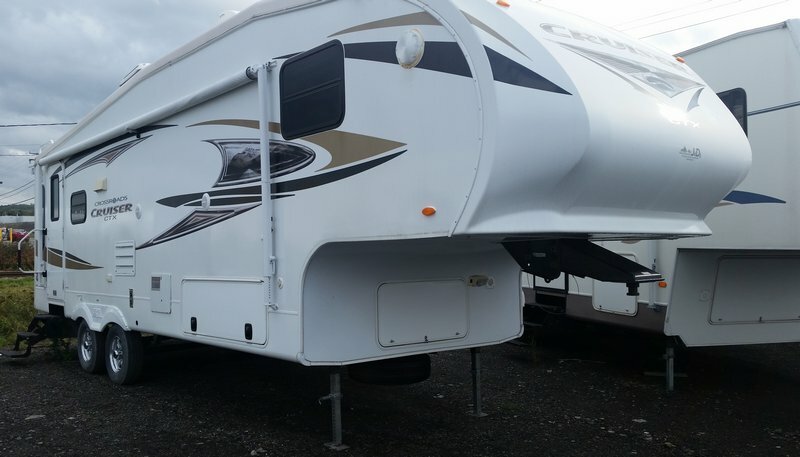 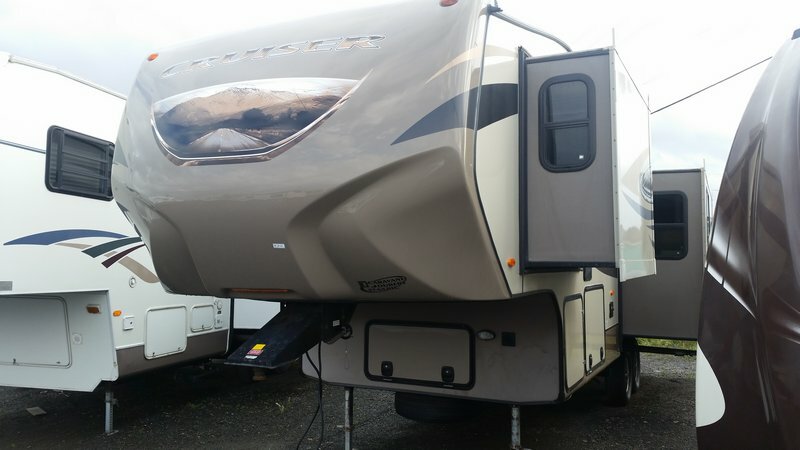 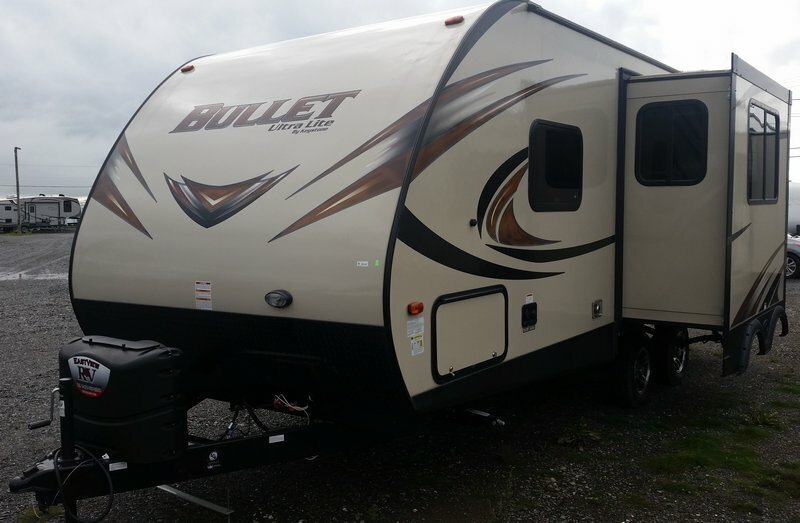 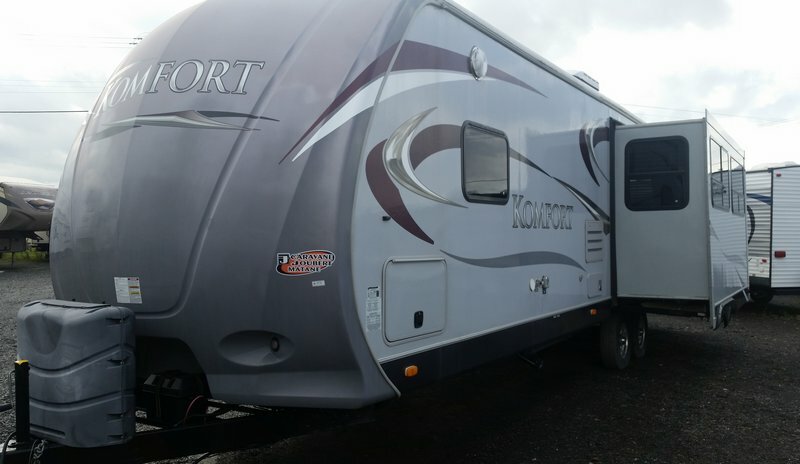 A brief listing of assets to be included are as follows: (HUGE OFFERING OF OVER 50+) 5th wheel and towable recreational trailers from manufacturers such as KEYSTONE, FLEETWOOD, CROSS ROADS, TRAIL-LITE, DUTCHMAN ETC..& AS NEW AS 2016! 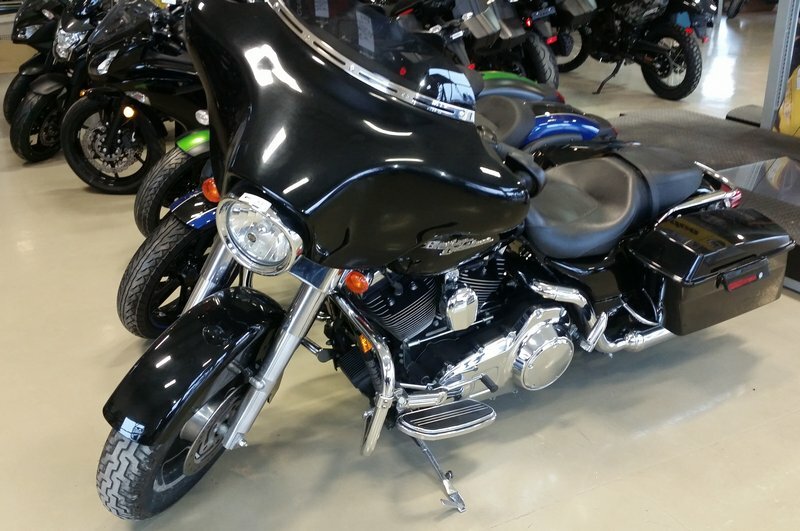 ; KAWASAKI (2015) KLZ 1000BFF motorcycle; KAWASAKI (2015) KX65AFF motorcycle; KAWASAKI (2012) 350 XC-F motorcycle; HARLEY DAVIDSON (2007) STREET GLIDE motorcycle; HARLEY DAVIDSON (2004) V-ROD motorcycle; KAWASAKI (2004) KL650A motorcycle; BRP (2015) RENEGADE X 1200 snowmobile; BRP (2015) GRAND TOURING 900 ACE ROTAX snowmobile; BRP (2015) GRANT TOURING 900 ROTAX REVXR snowmobile; BRP (2015) RENEGADE ADRENALINE 900 ROTAX snowmobile; BRP (2015) RENEGADE ADRENALINE 900 ACE ROTAX snowmobile; BRP (2015) RENEGADE ADRENALINE 600 HOE-TEC REVXS snowmobile; BRP (2015) RENEGADE ADRENALINE 600 REVXS E-TEC snowmobile; ARCTIC CAT (2014) CROSS COUNTRY 7000 XF snowmobile; ARCTIC CAT (2014) M8000 PERFORMANCE snowmobile; BRP (2014) SUMMIT SP ROTAX 800 snowmobile; YAMAHA (2014) SR VIPER GYTR snowmobile; BRP (2013) RENEGADE ROTAX 800 REV XP snowmobile; (2) ARCTIC CAT (2012) M800 snowmobiles; BRP (2012) RENEGADE BACK COUNTRY 800 ROTAX snowmobile; BRP (2012) REVXU EXPEDITION 600 ROTAX HOE-TEC snowmobile; BRP (2012) XPS REVXP snowmobile; POLARIS (2012) PRO R600 SWITCHBACK snowmobile; BRP (2011) RENEGADE X BACK COUNTRY 800 ROTAX snowmobile; BRP (2011) RENEGADE SPORT ROTAX 600 snowmobile; BRP (2010) ROTAX 1200 4-TEC snowmobile; BRP (2010) SKANDIC V800 4-TEC snowmobile; BRP (2009) GTX SE ROTAX 1200 4TEC snowmobile; YAMAHA (2007) VENTURE LITE snowmobile; YAMAHA (2006) PROFESSIONAL GENESIS snowmobile; POLARIS (2006) 4 STROKE TURBO IQ TOURING snowmobile; YAMAHA (2004) VENTURE snowmobile; ARCTIC CAT TRIPLE TOURING 600 snowmobile; KAWASAKI MUL 4010 4x4 all-terrain vehicle; BRP 880R V-TWIN 4x4 all-terrain vehicle; MIDWEST (2016) boat trailer; N&N TRAILER (2015) 12’ platform trailer; LEGEND (2011) GLIDE-ON boat trailer; ALCOM (2011) 28’ aluminum cargo trailer; (5+) assorted platform & boat trailers; FORD (2013) TRANSIT CONNECT XLT service van; GMC Z71 diesel pickup truck; FORD F-250 SUPER DUTY diesel pickup truck; VALLEE heavy capacity outdoor diesel forklift; TOYOTA (2001) 7FGU45 LPG forklift; (3) LIBERTY inflatable boats; ASSORTMENT OF OUTBOARD MERCURY motors up to 90HP & NEW AS 2014! 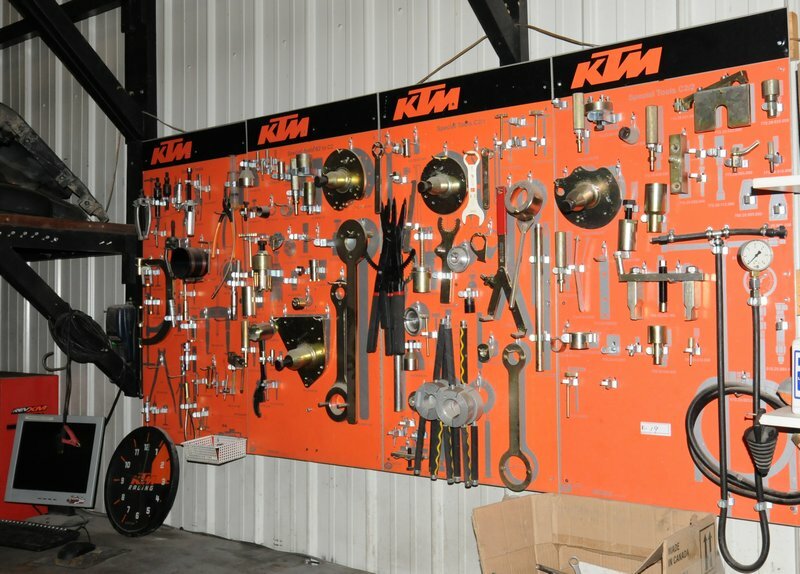 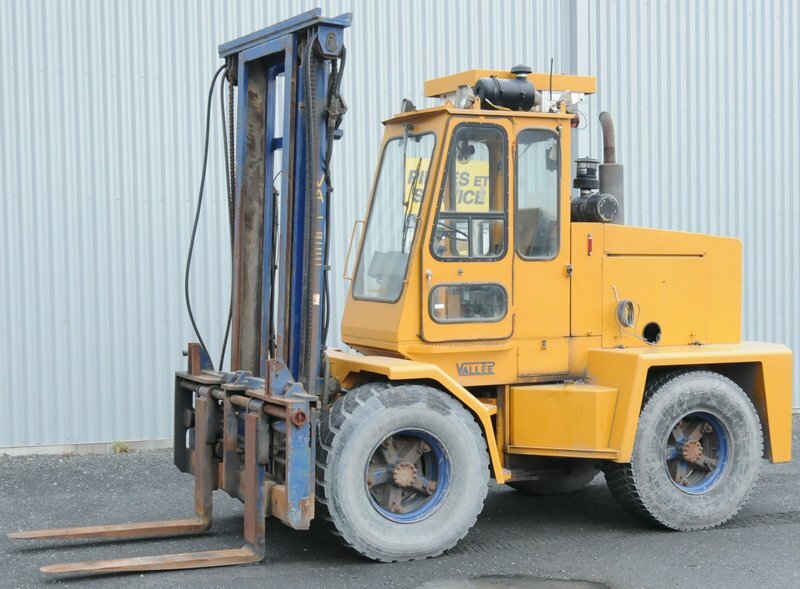 ; COMPLETE SHOP CONSISTING OF lifting equipment, hydraulic lift systems, air compressors, rolling tool cabinets, tire clamping machines, balancing machines, shop presses & welding equipment etc..; HUGE QUANTITY OF BRAND NEW STORE INVENTORY CONSISTING OF snowmobile suits, boots, helmets, gloves, goggles, thermal gear, hunting camouflage accessories, oils & lubricants, hitches & electronic accessories, safety equipment, batteries, rims & tires, parts manuals, office furniture & equipment and MUCH MORE! 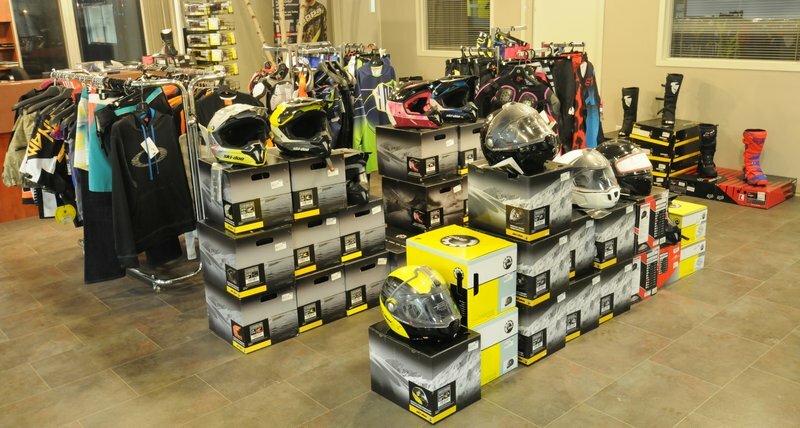 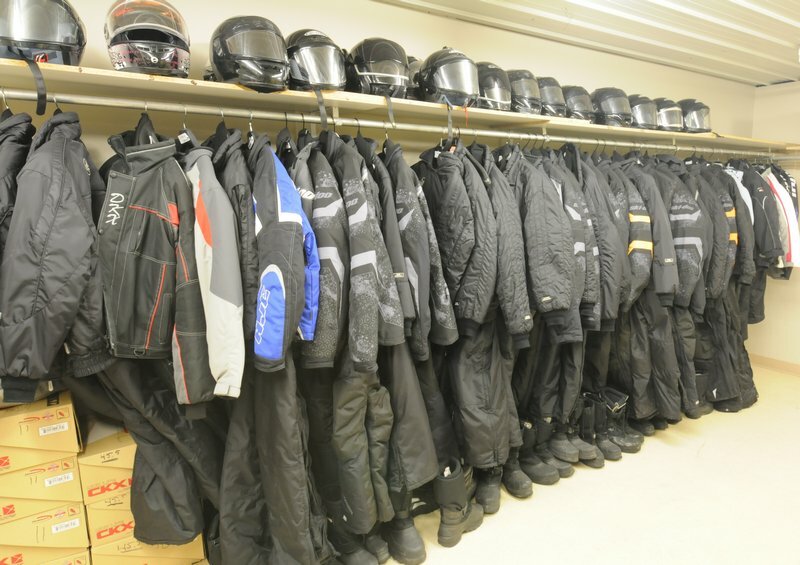 ENTIRE CONTENTS OF RETAIL STORE consisting of over (170+) BRP CAN-AM motorcycle and snowmobile performance helmets; BRP CAN-AM, KAPPA, FOX, OAKLEY and other BRAND NAME riding gear and apparel comprising T-shirts, jackets, pants, boots, gloves, riding goggles; GORE TEX SNOWMOBILE SUITS, hats, tuques, balaclavas and snowmobile gloves, BRP CAN-AM thermal wear, snowmobile boots, OAKLEY goggles, sunglasses and MUCH MORE! 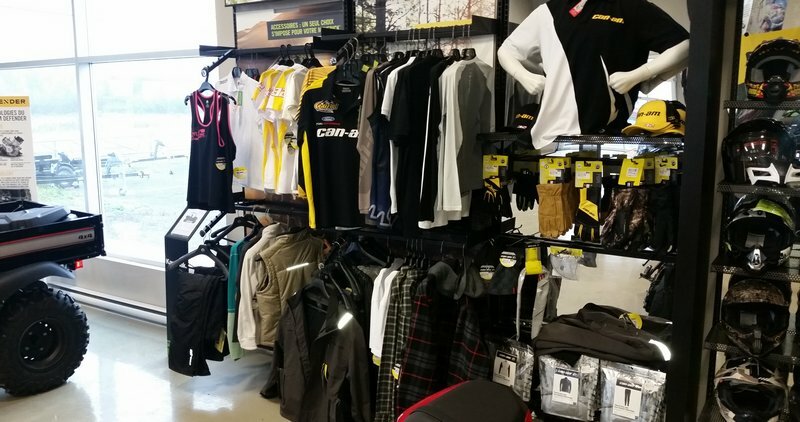 ALL MERCHANDISE IS BRAND NEW IN UN-OPENED OEM PACKAGING! 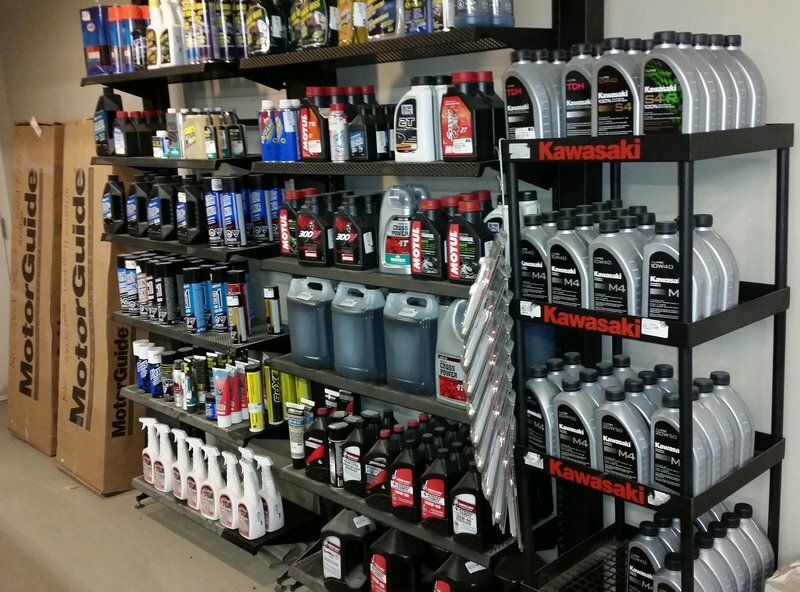 ENTIRE PARTS RETAIL STORE featuring BOMBARDIER CAN-AM and SKI DOO parts and accessories, KTM and KAWASAKI parts and accessories, MERCURY MARINE parts and accessories, preventive maintenance parts, supplies and consumables consisting of BRP XPS performance synthetic oils and lubricants, MERCURY QUICK SILVER oils and lubricants, MOTUL oils and lubricants, FILTERS AND CONSUMABLES; (25+) MERCURY MARINE STAINLESS STEEL AND CONVENTIONAL BOAT PROPELLERS, HUGE SELECTION of BRAND NAME all terrain, street and performance tires; (50+) BRAND NEW MERCURY and YUASA marine and power sport batteries; LARGE SELECTION OF RV AND TRAILER spare parts and accessories; trailer truck hitches and 5th wheel hitches; fastening hardware; electrical supplies; bulbs; fuses and connectors; hoses; hose clamps and MUCH MORE! 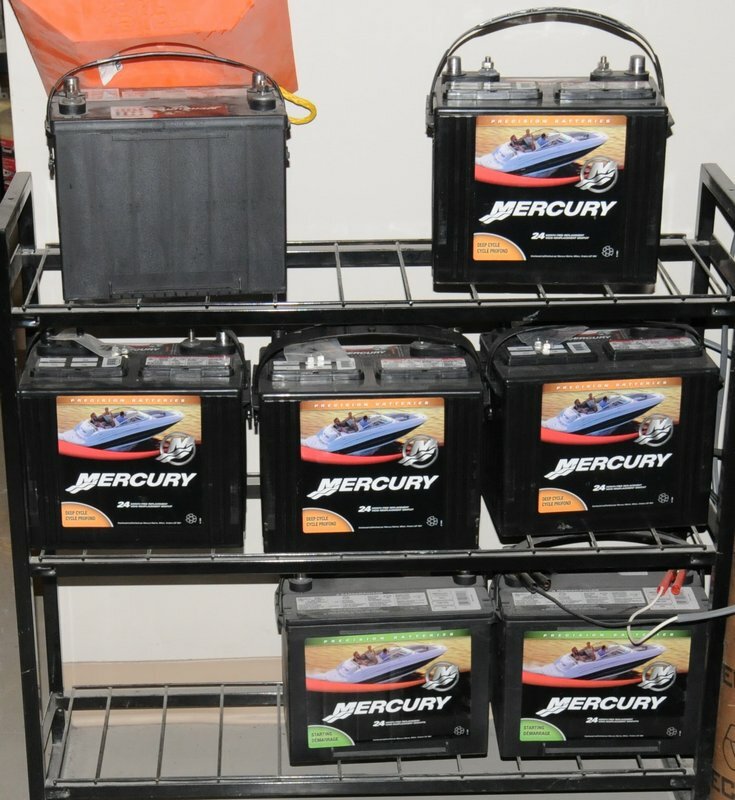 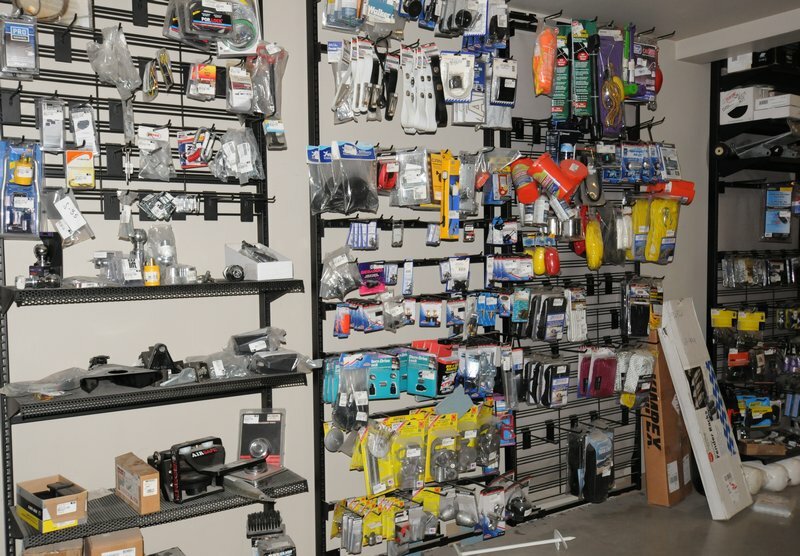 LARGE SELECTION of retail support equipment consisting of showroom wire shelving, display racks and stands; shop support equipment consisting of tables, workbenches with vises, drill presses, bench grinders, 15 drawer roller bearing mechanics tool box, hand tools, power tools, SPECIALTY KAWASAKI AND BOMBARDIER service equipment and tools; LAGE QUANTITY of BRP AND KAWASAKI service manuals; cleaning supplies and implements; ARIENS 2-stage gas snow blower (BRAND NEW); woodworking & upholstery tools and supplies; TOSHIBA IP phone system, late model office furniture, computers, laptops, business machines and much more! 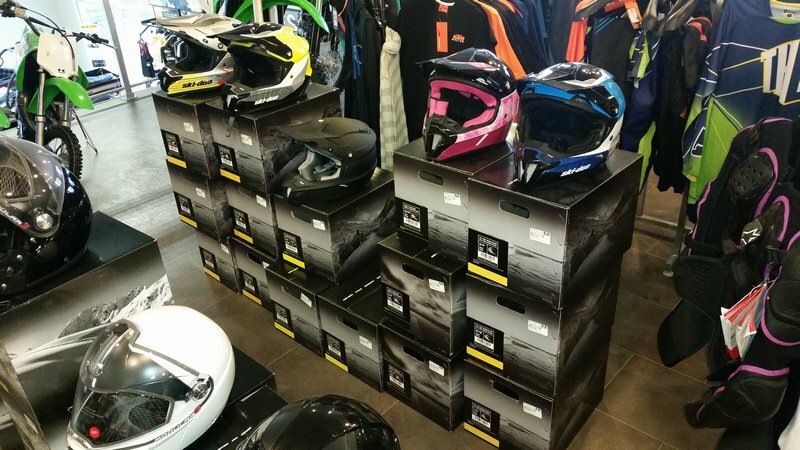 There are shipping options available, please contact Raz Dinu at 1.855.583.5551 for further details.